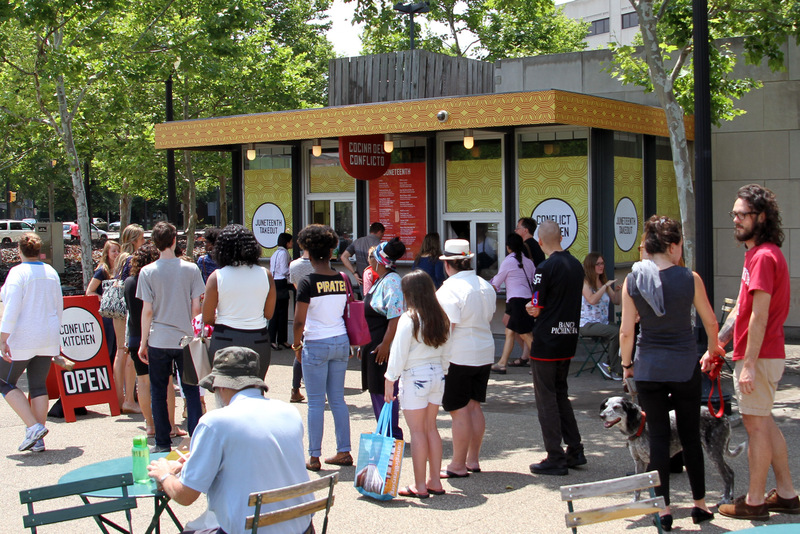 Stop by Conflict Kitchen between June 18-26 to celebrate Emancipation Day. 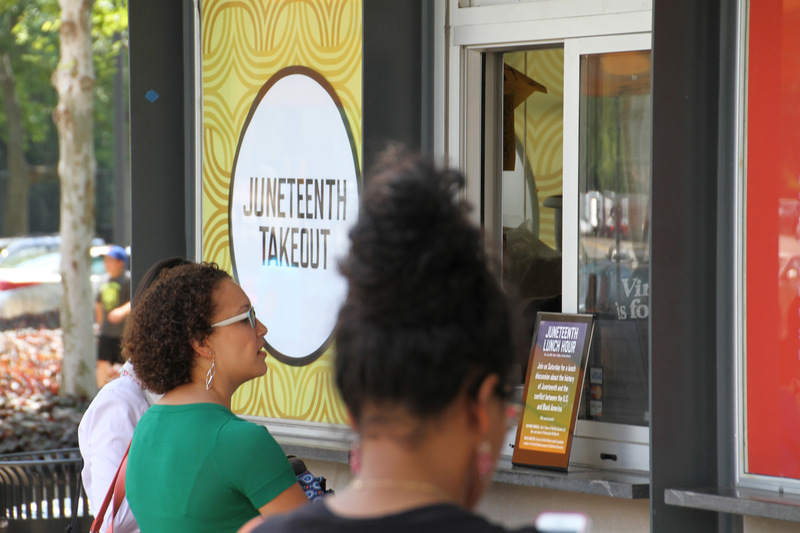 Dine with us for lunch or dinner to sample the cuisine of Juneteenth. 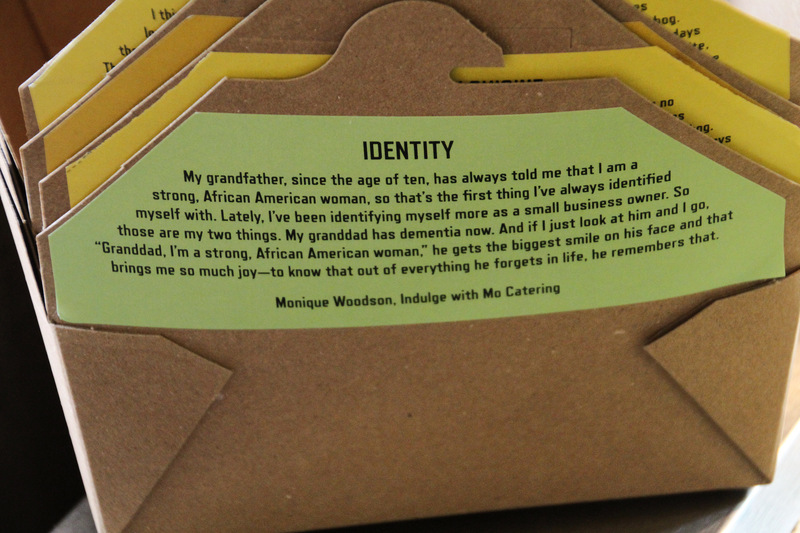 Black and African American chefs and restaurant owners from around Pittsburgh have collaborated with Conflict Kitchen to design the menu for this celebration. 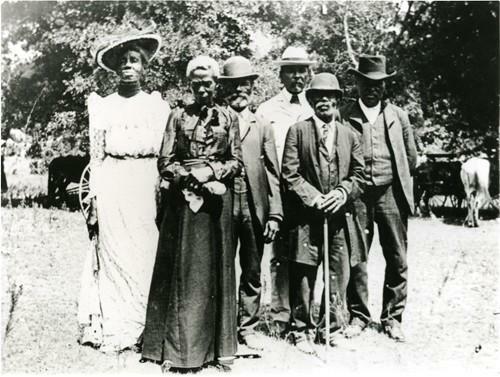 Juneteenth is a holiday that marks the anniversary of the announcement of the abolition of slavery in Texas on June 19, 1865 and subsequent enforcement of the Emancipation Proclamation by the United States government. The menu represents offerings of traditional and contemporary soul food, low-country cuisine and barbecue. 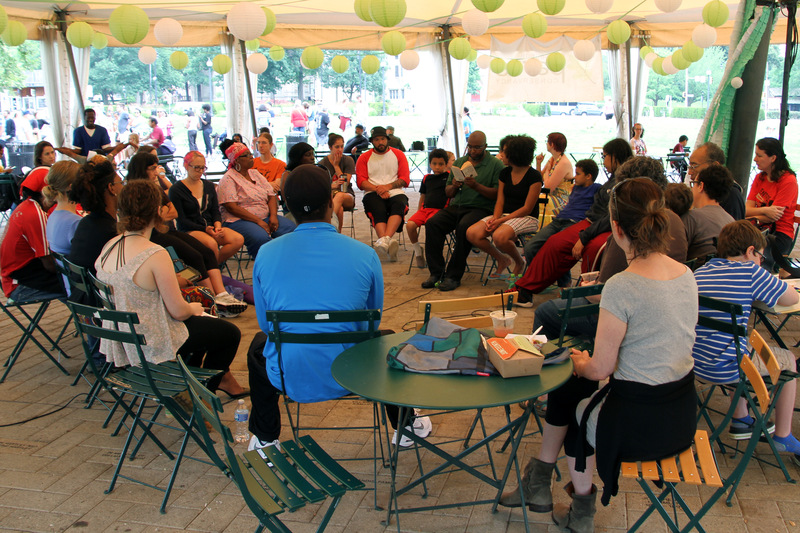 Programming includes a Juneteenth version of The Lunch Hour on Monday, June 20 at 1pm outside of Conflict Kitchen with special guests Chef Chaz Smith and Carleen King, co-owner of Carmi Soul Food. Chef Mike King Born in Pittsburgh, Mike has devoted his life to the culinary arts. Beginning with taking over the family rib joint, RibKing, shortly after high school, he continued into the world of corporate cooking. He established his own domain in 2011 when he opened Carmi Soul Food with his wife, Carleen. Carleen King, MBA Carleen has roots steeped in Southern cuisine. She began cooking with the woman of her family at the age of five. Her love of food quickly outgrew her love of corporate America. 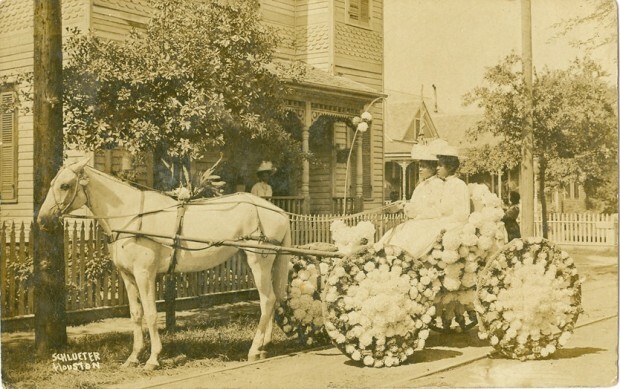 In 2011, she founded Carmi Soul Food along with her husband, Mike King. Chef Charles “Chaz” Smith II A designer, painter, sculptor, muralist and restaurant owner, Chef Chaz is a true renaissance man. He has worked in the hospitality industry for 15+ years managing some of Pittsburgh’s finest hotels and restaurants. His love of world travel has influenced his dishes in his independent catering company, The Culinary Artists. Chef Odette Smith-Ransome Chef Odette has been in the local food scene for decades. Before opening Chaz & Odette in 2015, she worked as an Assistant Professor of Culinary Arts and Hospitality at a local Art School. While there, she developed much of the curriculum and many of the courses, and helped guide the education of many of the Chefs of Pittsburgh. Chef Drew Allen Born in Pittsburgh, Drew is a DJ, a father, an entrepreneur and a pitmaster. He opened Showcase BBQ in Homewood in 2003. Tre Jenkins Tre has been cooking since he was 13 years old. 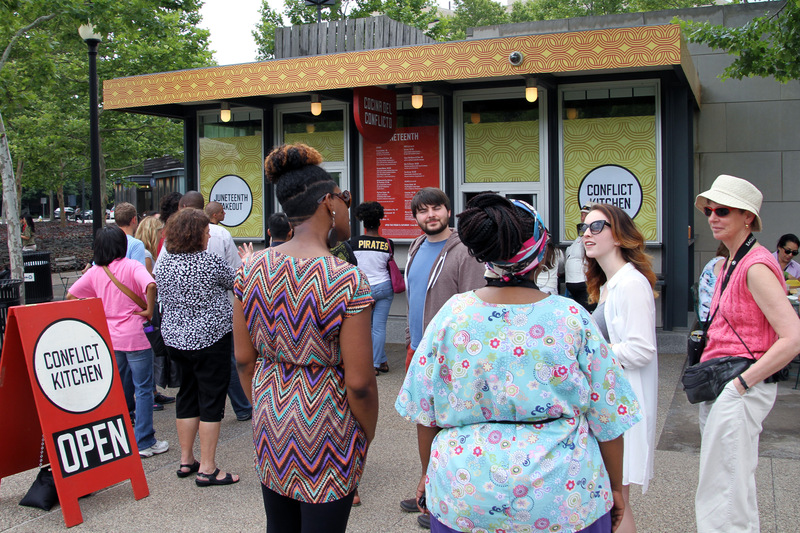 Soon, he will be celebrating his one year anniversary at Conflict Kitchen. In the fall, he will pursue his degree in Business Management at Penn State Allegheny. He plans on opening up his own restaurant one day. Michael Taylor Born and raised in Pittsburgh, Michael went to the Pennsylvania Culinary Institute. He has two sons, DeVaughn and Damian. He loves to cook Caribbean food.